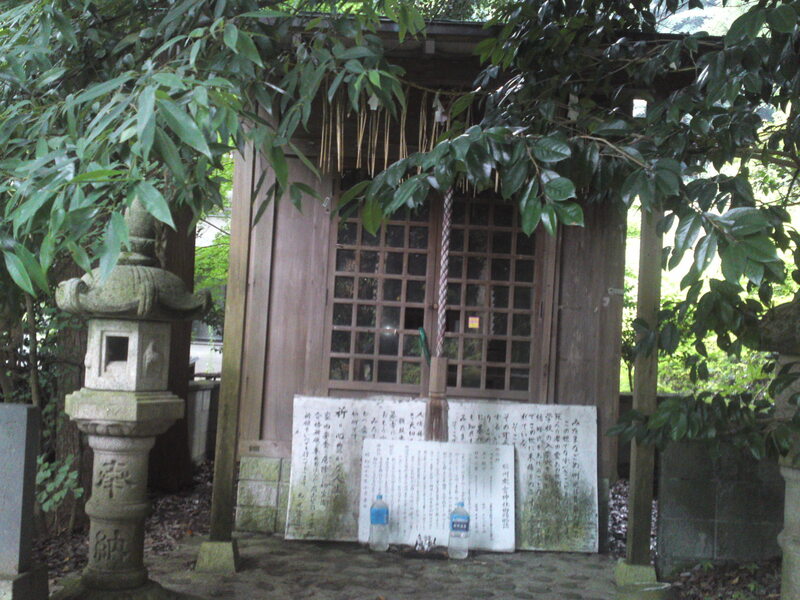 Atago Shrine (愛宕神社) is only one of many such named shrines in Japan and it has been standing for more than 500 years on one of the ancient Tokaido Rads. 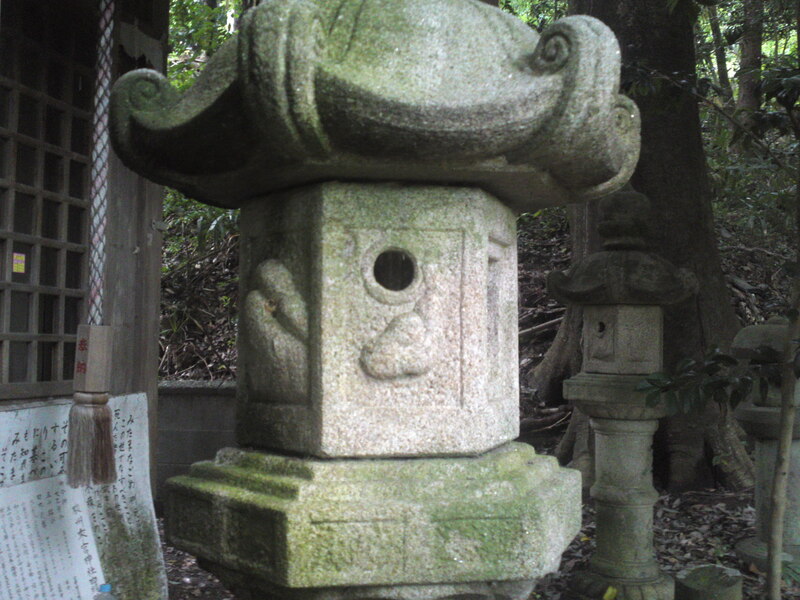 Due to its age it is more a cluster of shrines than a single one. 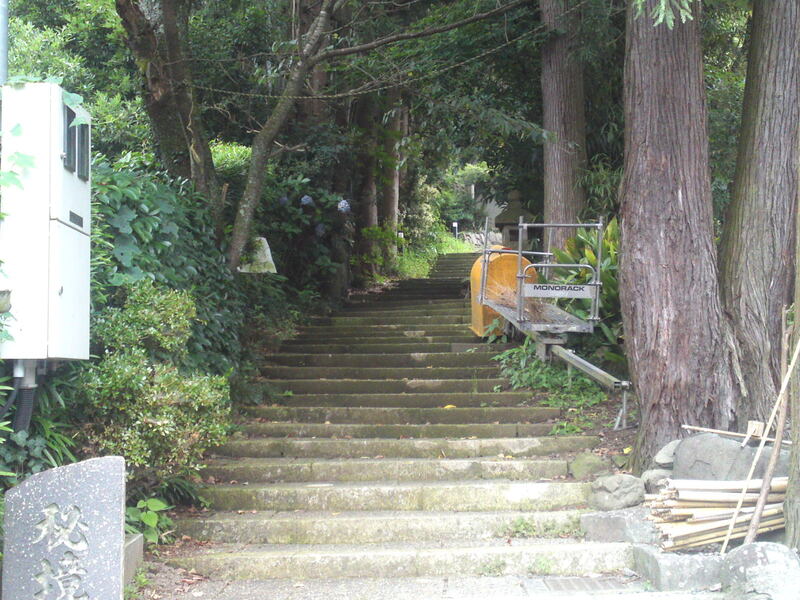 The entrance to the long flight of stairs leading to it is located in Kutsunoya mchi in Aoi Ku, Shizuoka City! 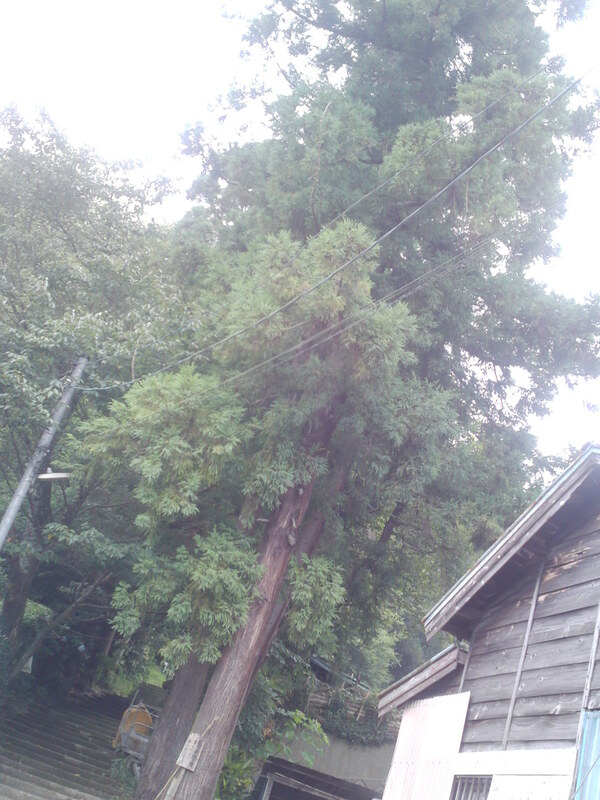 The whole area is clustered with very ancient cedar trees! 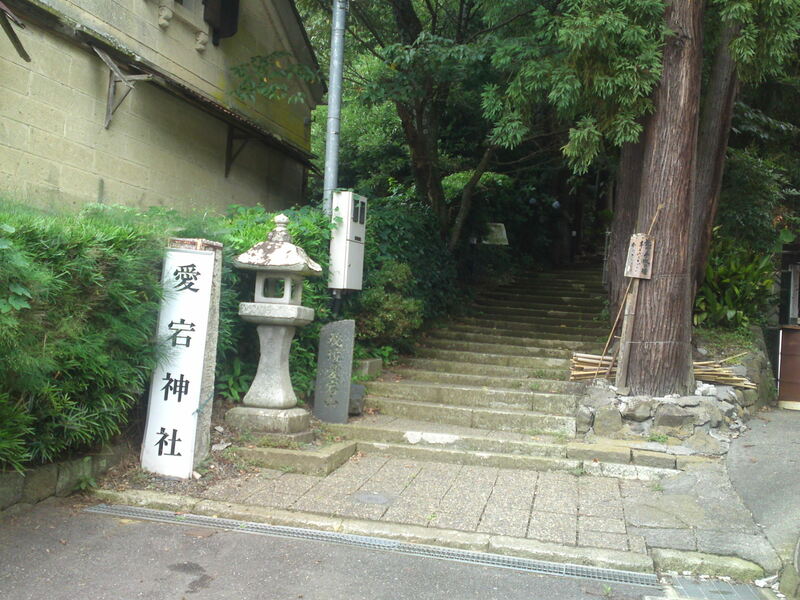 The entrance just opens behind the abandoned warehouse of former Inoue Sake Brewery! They don’t really need this ugly new board sign! 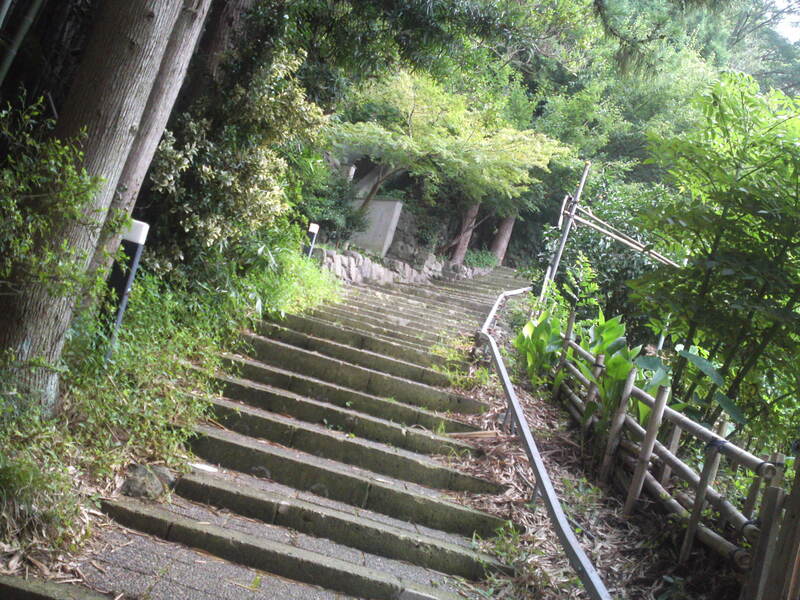 The stairs are only beginning! 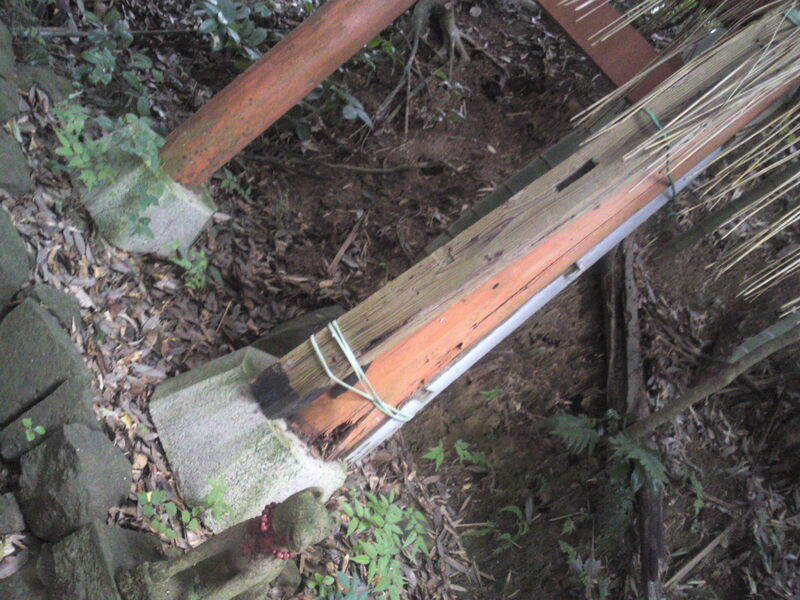 The rail is used for transport by the local farmers and the shrine attendants! 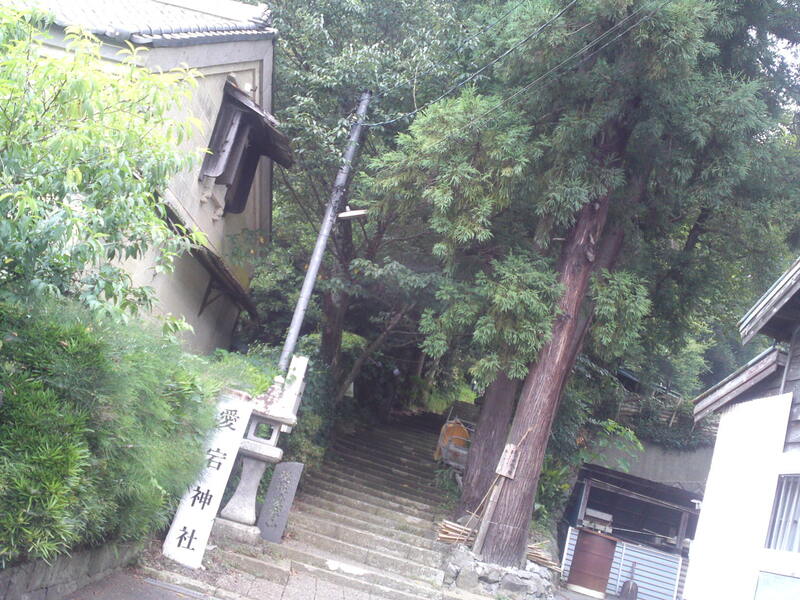 The stairs climb beside some abodes and small farms! 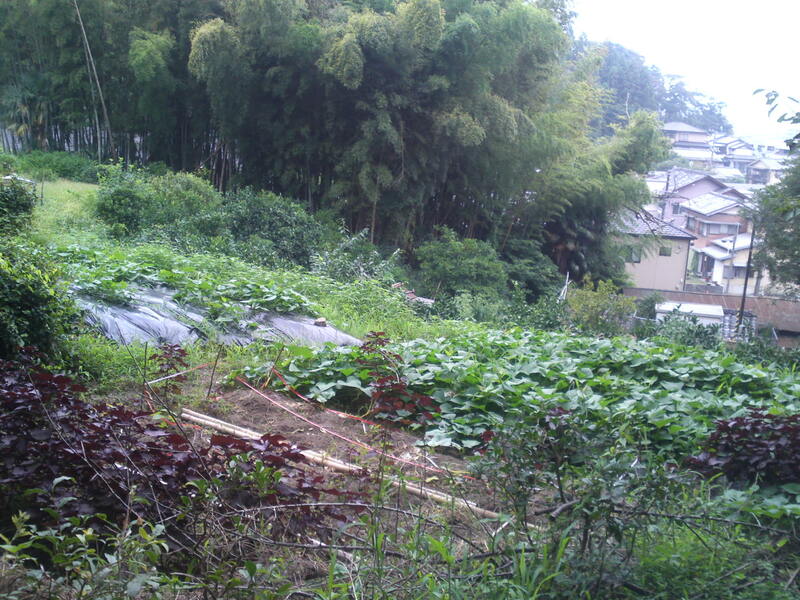 One of the local farms! 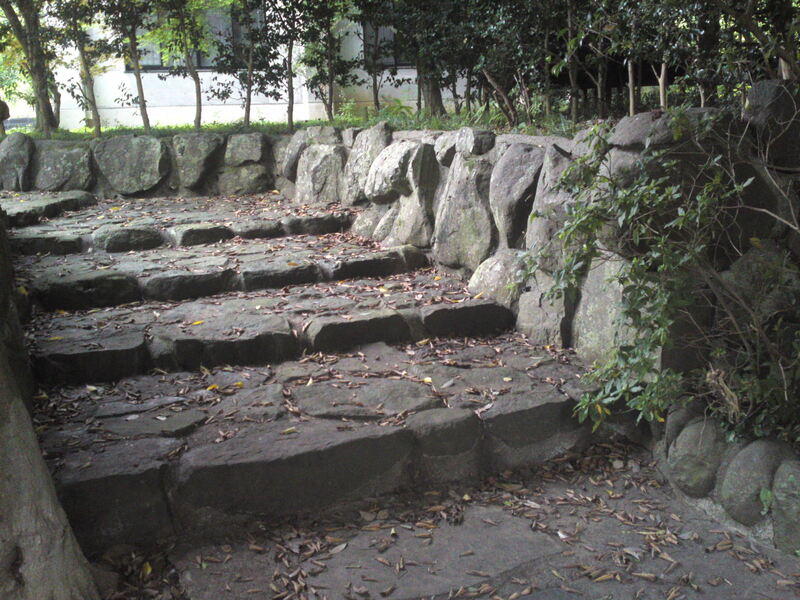 Very old stone stairs and buttresses! 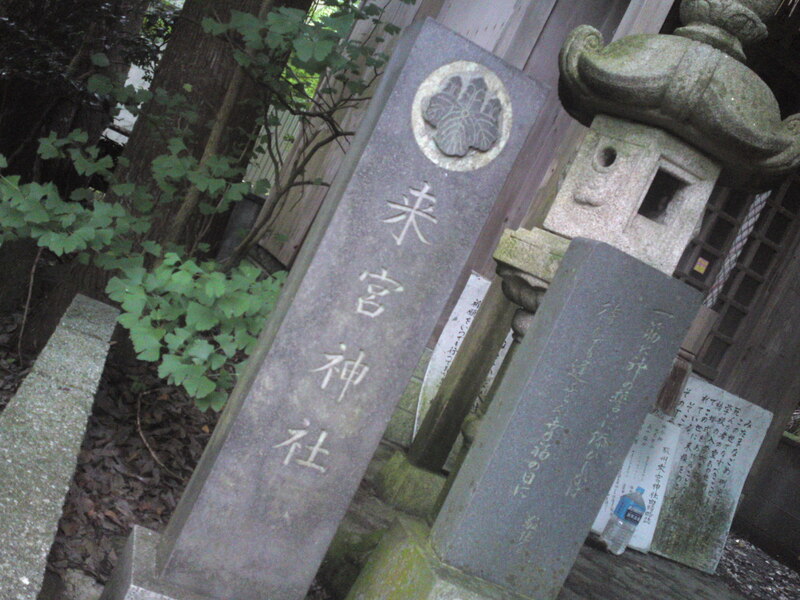 A Buddhist altar and the first Shinto Shrine! Plenty of history to read! 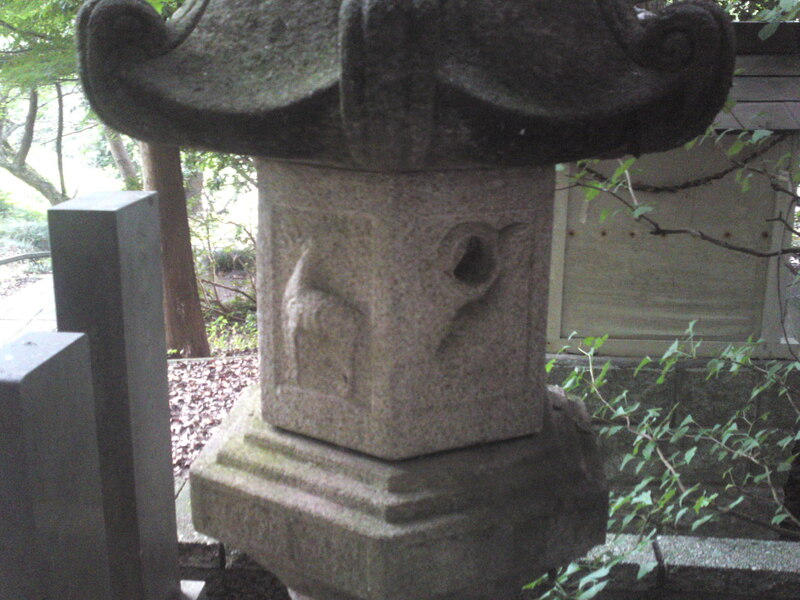 A deer often seen on such stone lanterns but the cloud has been hollowed out! The mountain and the cloud in relief! 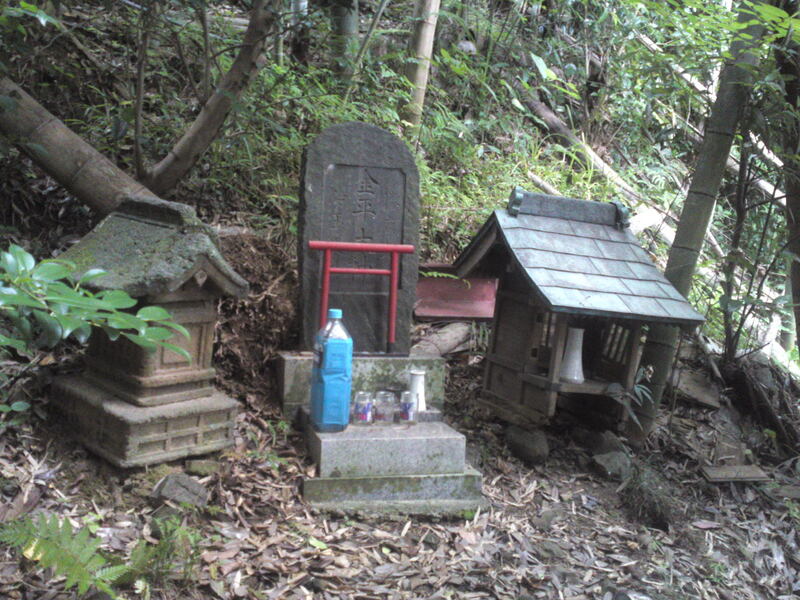 This little shrine goes by the name of Raigu (来宮)! 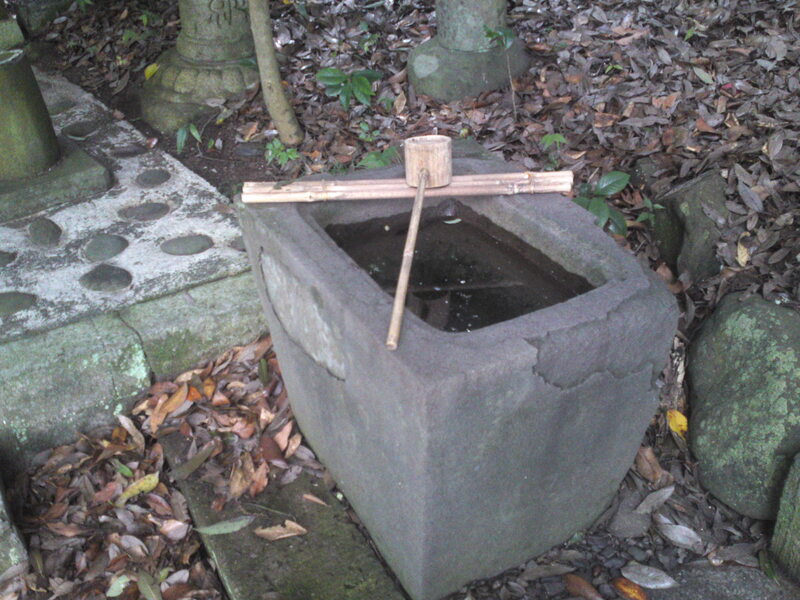 It has its own hand-washing stone basin! 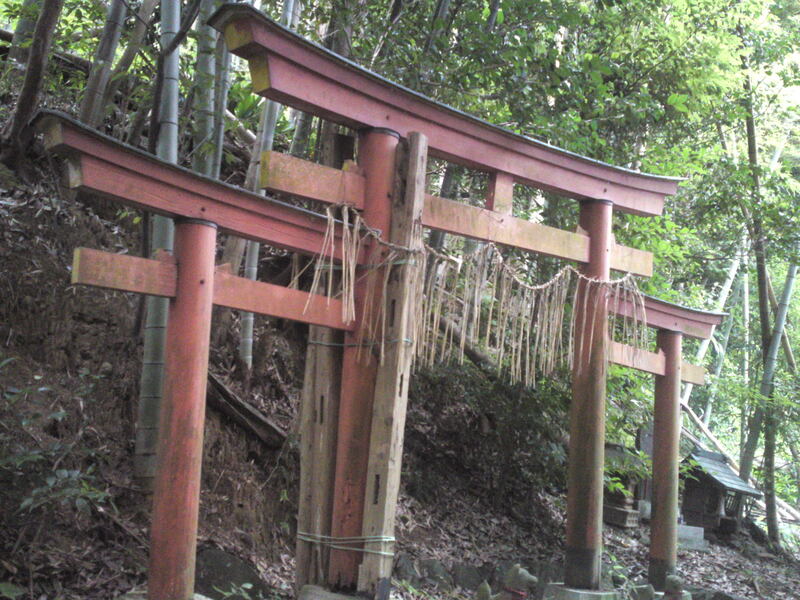 Not far up stands a very unusual torii gate! 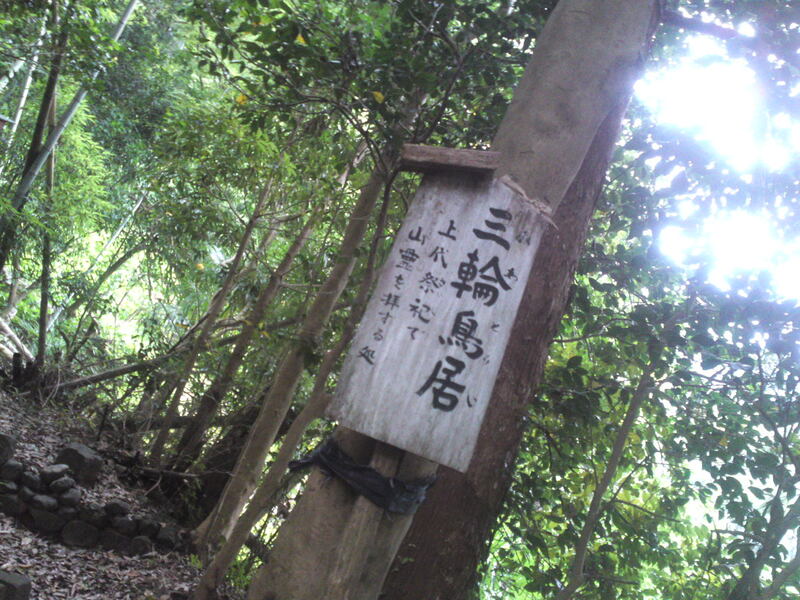 It is a triple gate, very probably the only one in the Prfecture! 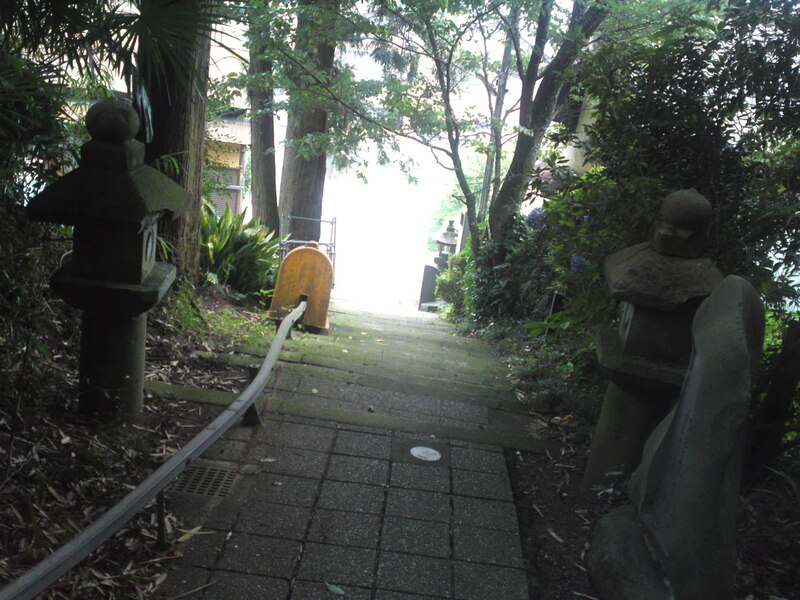 Such a triple gate is called a “Miwa torii” (三輪鳥居)! But it will need repair soon! 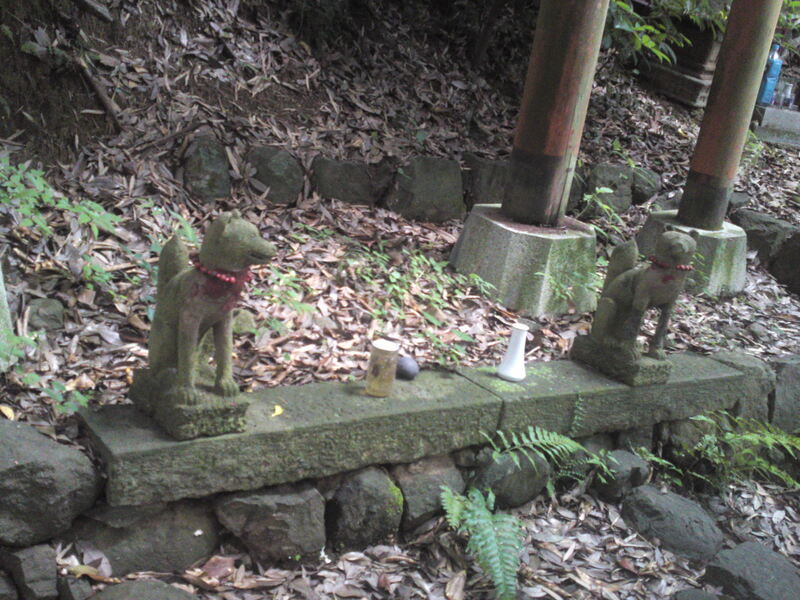 Two foxes guard it, so it must be an “Inari Shrine” (稲荷神社)! 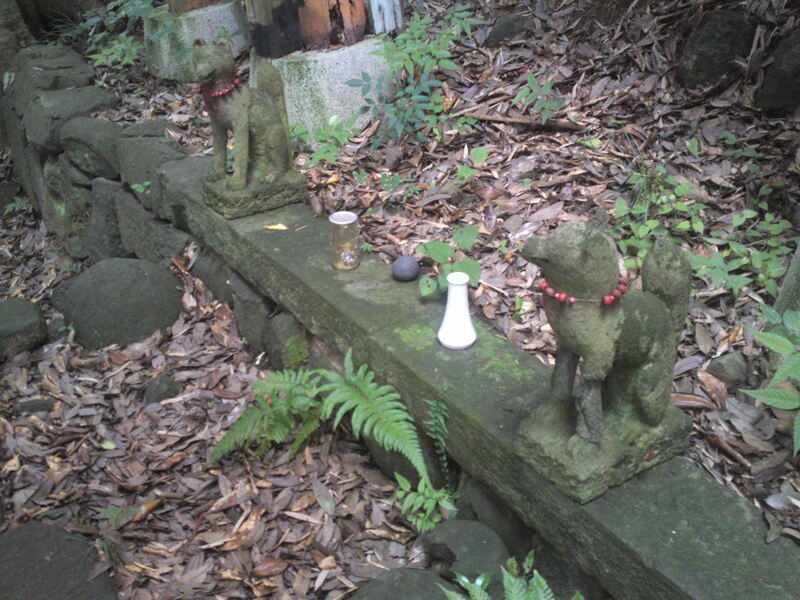 They seem to guard the offerings! 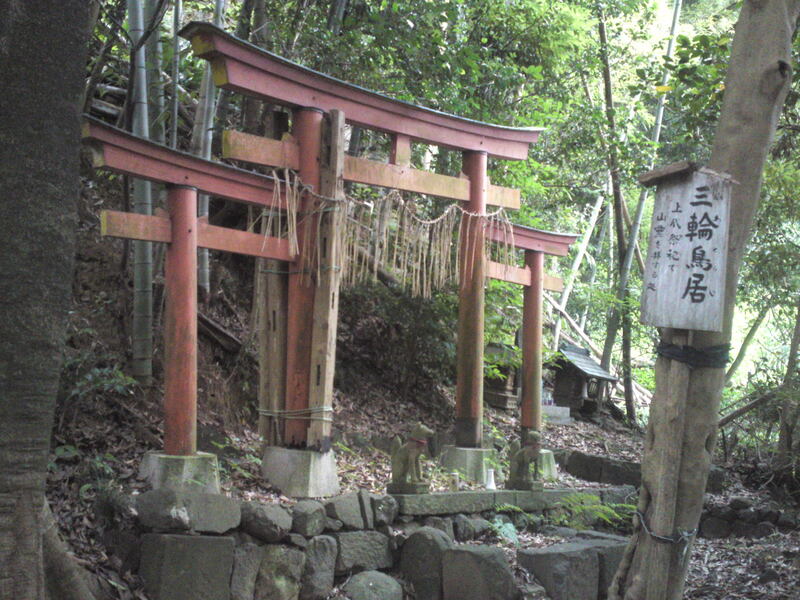 beside the bigger triple torri gate stand two small altars with a minuscule torii gate! 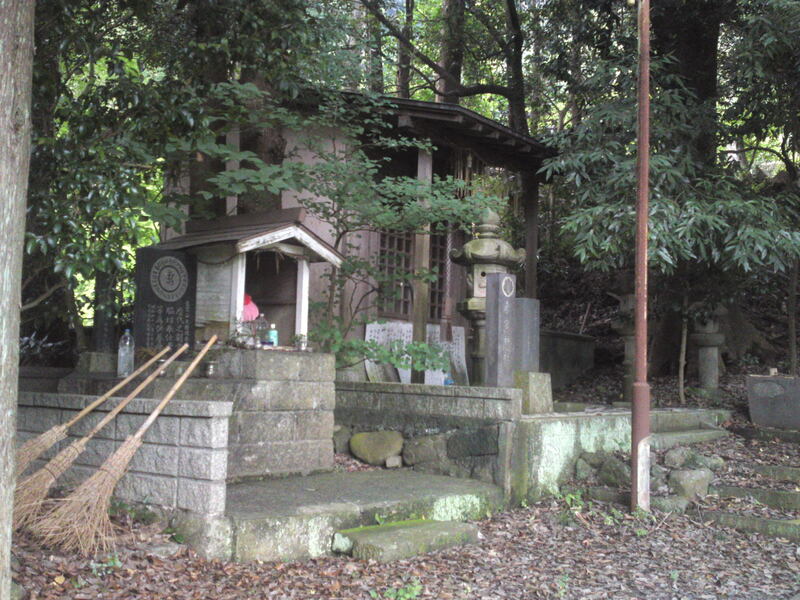 The name of this shrine apparently is “Kinpei Shrine” (金平神社)! 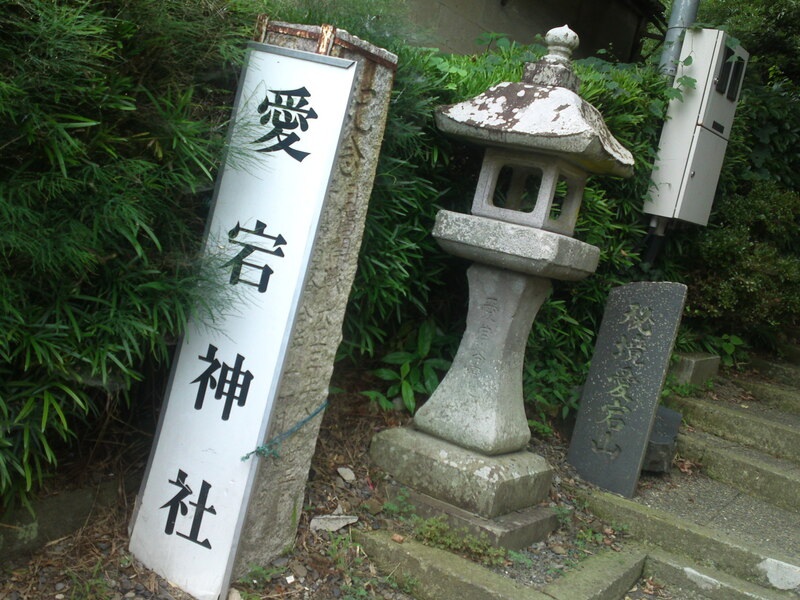 Previous PostOgushi Shrine Festival (小梳神社 祭) in Shizuoka City 5: Omikoshi/Portable Shrine!Next PostDangerous Pixie Billboard in Shizuoka City (recently changed! )!